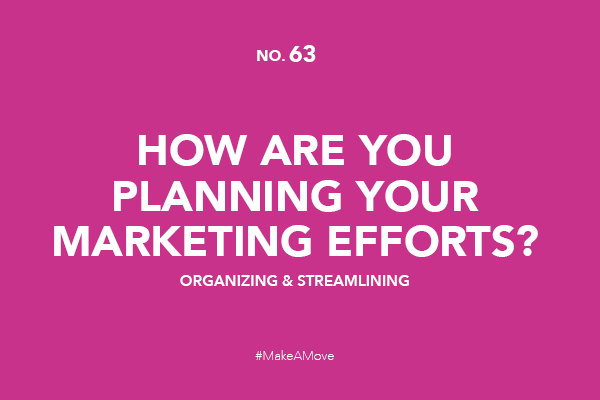 How are you planning your marketing efforts? Not to beat a dead horse (I’ve never fully understood that expression) BUT developing a structured plan using the right tools will allow you to eliminate excuses, focus on what needs to be done, and take action towards accomplishing your goals. I’d love to hear from YOU. How are you planning your marketing efforts? What programs or tools are you using to get things done and be more efficient?